George Washington University joins the #AlleviAuthor club with their new paper titled, “Use of GelMA for 3D printing of cardiac myocytes and fibroblasts” and published in Journal of 3D Printing in Medicine. First let’s review some basics about your heart! Heart tissue is composed of two main cell types; cardiac fibroblasts (CFB) & cardiomyocytes (CMC). Cardiomyocytes are the contracting cells which allow the heart to pump. Each cardiomyocyte needs to contract in coordination with its neighboring cells to efficiently pump blood from the heart, and if this coordination breaks down then the heart may not pump at all. Fibroblast cells give support to the muscle tissue. They are unable to provide forceful contractions like cardiomyocytes, but instead are largely responsible for creating and maintaining the extracellular matrix which forms the mortar in which cardiomyocyte bricks are embedded. Fibroblasts also play a crucial role in responding to injury by creating collagen while gently contracting to pull the edges of the injured area together. In previous academic studies, tests of pure populations of cardiomyoctes have failed to stay viable making it difficult to study the heart in a lab setting. In their recent paper, the team at George Washington University set out to determine how 3D bioprinting affects these two types of cells and if there is a way to create viable 3D tissue in the lab by bioprinting both CMCs and CFBs in tandem. The team studied the effects of temperature, pressure, bioink composition, and UV exposure to determine the best conditions for 3D bioprinting heart muscle. Through LIVE/DEAD assays, bioluminescence imaging and morphological assessment, they determined that cell survival within a 3D bioprinted CMC-laden GelMA construct was MORE sensitive to extruder pressure and bioink composition than the fibroblast-laden constructs. Also they determined that BOTH cell types were adversely impacted by the UV curing step. 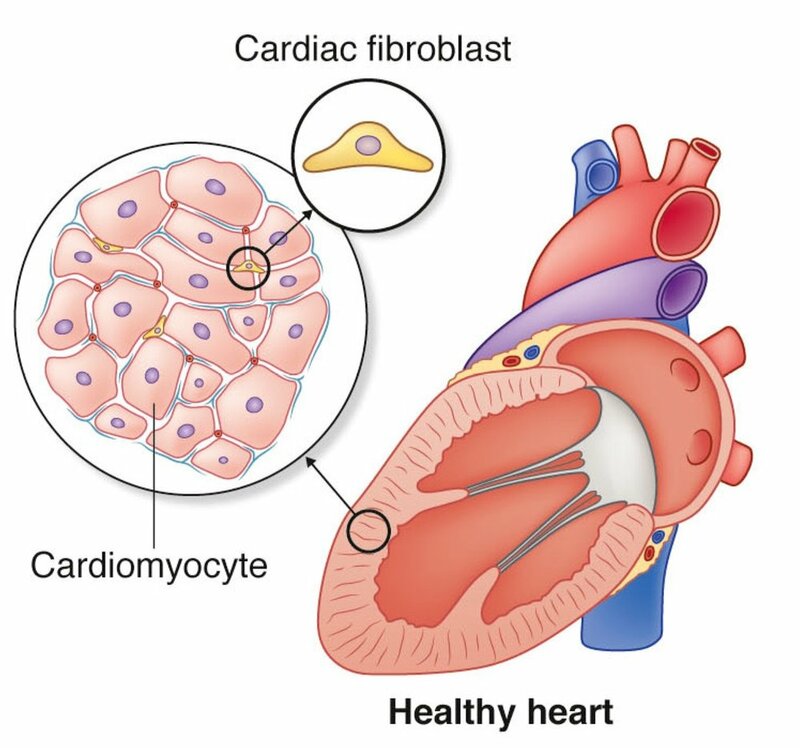 And finally they determined that using a mixture of cardiomyocytess and cardiac fibroblasts increased viability of the tissue- showing that CMCs <3 CFBs. Cheers to the team at GWU! Their research creates an important foundation for future studies of 3D bioprinted heart tissue.